On the 2nd of June the renovated Place Dumon (at Stockel, Woluwe St. Pierre) was officially opened by local and regional officials. 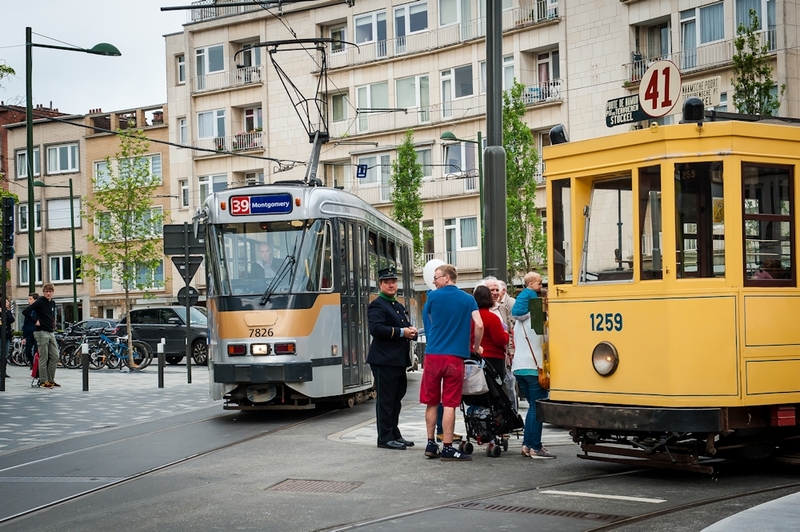 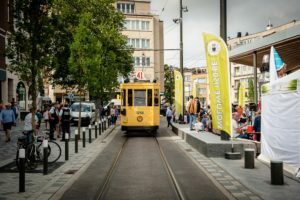 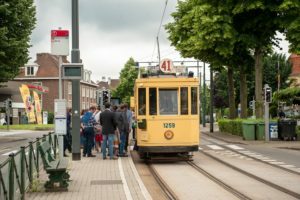 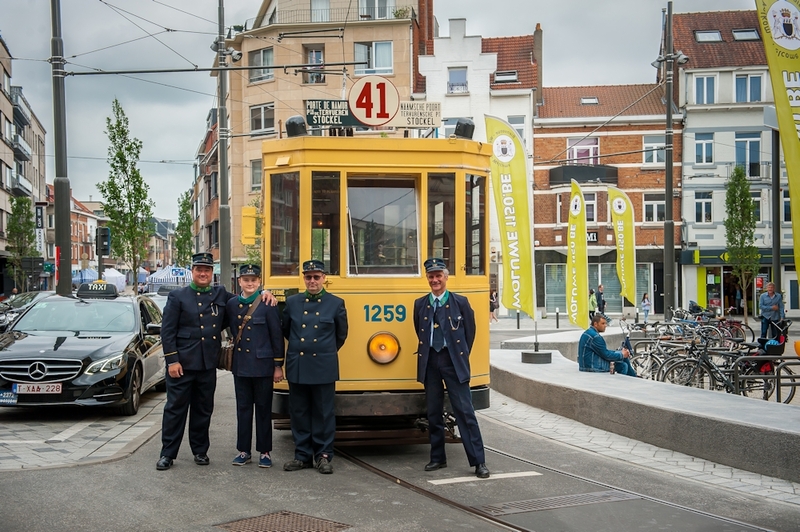 Our Museum took part in the festivities with “standard” tram 1259, in its original state with trolley pole. 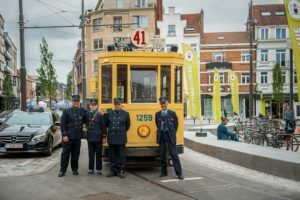 The vehicle was equipped with a “41” destination sign with red numbering, indicating that Stockel used to be part of the suburban tariff zone (with special pricing) until the 1st of February 1935. It is worth noting that STIB has modified the overhead lines to Stockel (bar a few short sections) to make mixed pantograph and trolley pole running possible. 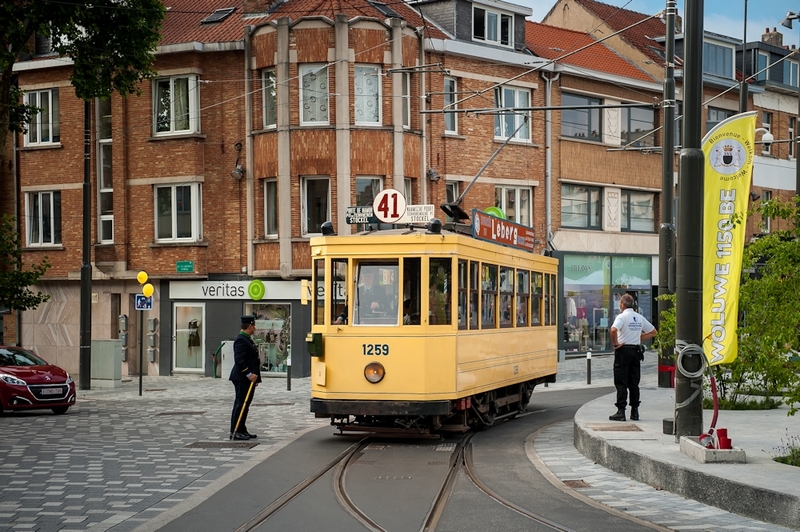 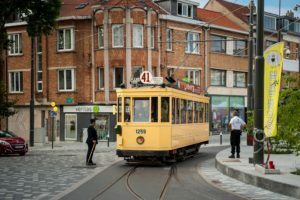 However, there are no plans to use Belle Epoque trams on this stretch of track.